This past week I visited our local Michael’s to pick up some supplies for an upcoming craft project I’m working on. For some reason, I seem to lose time in that store. I could spend an hour looking at everything and it will only seem like 10 minutes! They have aisles and aisles of Christmas craft supplies and I spent over $100 stocking up. I’m planning to make a few decorations for our tree as well as a wreath for our front door. I’m just not sure what style of wreath I want to make yet. Luckily, the Internet is a full of DIY Christmas Wreath tutorials and I’ve been bookmarking a few that I think would be fun and simple enough for a beginner like me to make. I’ve rounded up a list of 31 of my favourite DIY Christmas Wreaths. Now to choose which one to make! Will you be making a Christmas wreath this year? I have been using the same wreath for as long as I can remember, it may be time for a change. I used to make wreaths with my mom out of vines! They were really pretty! Some great ideas, we could use a new wreath so it might be time for me to get creative! Some very nice wreaths, I like the felt one, very Christmasy!! Lots of beautiful ideas! Thank-you! I hope this collection inspires you to make one of your own. I love so many of the wreaths – I really must make a new one this year! After checking out your list I think that I have to make one! I love the simplicity of the snowball and non traditional wreath. I’m a sucker for succulents though.. they are my favorite plants! 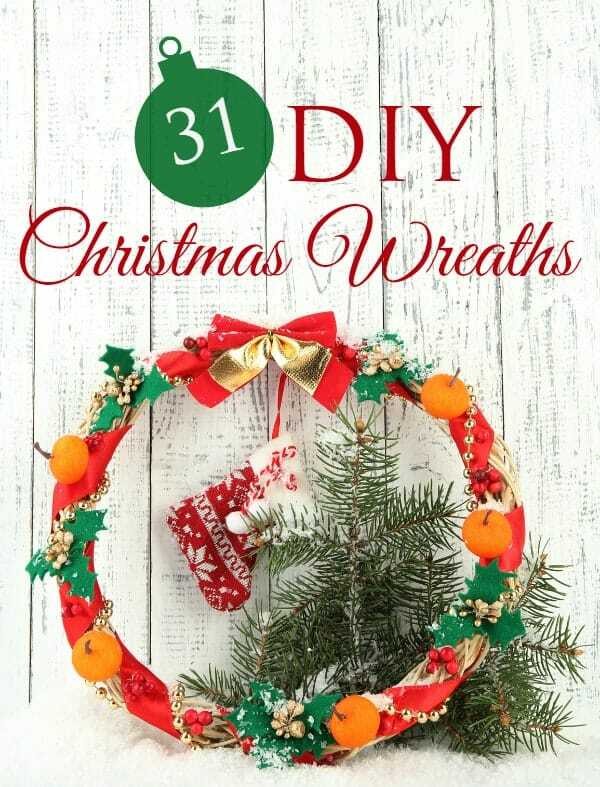 What a great book, there’s a wreath craft project for everyone. This is definitely a book I would purchase, thank you for sharing this post. I’ve been wanting to make my own wreath for our door that goes out to the driveway. These are all great ideas! Thanks for sharing all these ideas! My daughter and I are planning on making a wreath. This will give us a lot of ideas. Thanks fr the list,I am going to try and make one this year. Nice list of fun wreaths for xmas. Kind of like the Santa wreath! We’ve been using the same wreaths for years now and never really thought about switching it up until now! These wreaths are super inspiring and beautiful! And best of all, they’re DIY! Love that! I have never really been a wreathmaker, but some of these look fun and interesting! Wow! Super cool wreaths! I have never made my own before. That would be a good idea for gifts next year! Up until now, I made the usual greenery wreath for our front door every Christmas. I am planning on making a new one this coming year–perhaps the Snowball Wreath. I am saving the wreaths you listed and will try one or more of them and thank you for the suggestions. What a great assortment of Christnas wreaths. I never even saw this before Christmas or I might have been tempted to make one. I have made them before with real cones, greenery and then deco. Next year I will be making one though so I may as well pick one out now eh?. Thanks for sharing my Santa Wreath project!